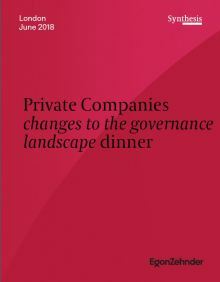 Ahead of the Wates review of Private Company Governance, Egon Zehnder London recently hosted a dinner with seven Chairman and Senior Directors of private companies to collect their thoughts and reactions as to whether privately held companies should strengthen and adapt their code of Governance. Overall, there was strong support to reinforce and further codify the governance of privately held companies. We wanted to share some of the key themes and highlights that arose. It was acknowledged that private companies constitute a very broad bucket, there is not a one-size-fits-all solution. In general everyone agreed that a framework is helpful, but that not everyone will enforce the code in the same way. Non-compliance may occur in certain circumstances and companies should be accountable for explaining their reasons and feel empowered to confess. Transparency will be key. It is important to understand what shareholders want, it isn’t always ‘strategy & insights’. Perhaps it is necessary for private companies to extend the concept of moving beyond value creation for shareholders and towards a broader value creation and protection for all stakeholders. The major difference between plc and private companies appears to be how they communicate. The burden of communication on PLCs is very different to private companies. Private companies do not need to justify short-term results and therefore are freer to think about other business considerations. It was noted that in Financial Services the regulation already seems cumbersome and akin to PLC governance. 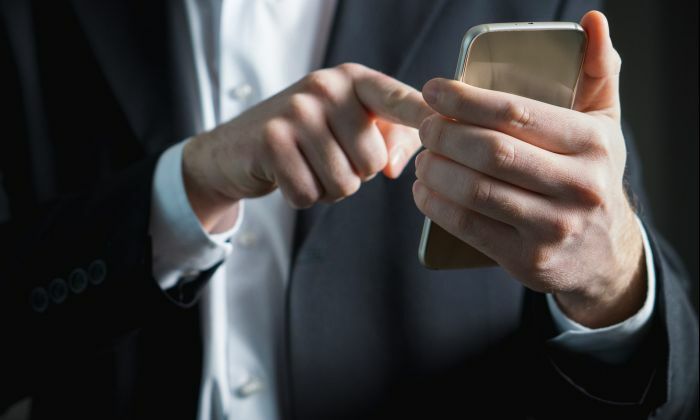 Whether the company is family-owned, a mutual, PE-backed or another structure, what matters is longevity of ownership, consistency in the business strategy and phenomenal customer services. However, the burden on a small start-up should not be the same as an established mid-sized business. The cut-off around 2,000 employees seemed a reasonable threshold to delineate the requirement for greater transparency, accountability and independence. Some imagine a private board almost as a board of trustees. There was a feeling, however, that there is a broader structural problem because not all institutions want to engage with businesses (public or private). Fund managers appear to have a lower regard for corporate governance. On the whole PE are better at engaging, normally because two PE representatives tend to sit on the board. How involved do family run companies want to be with the governance dialogue? There is often a sense that family companies can ‘portray the image of conforming on corporate governance’. 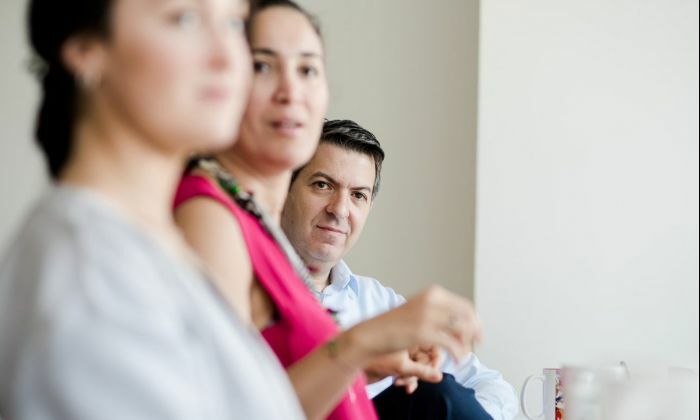 The difficulty with family–run businesses appears to be identifying what the owner actually wants, either because it isn’t clear or because it changes. 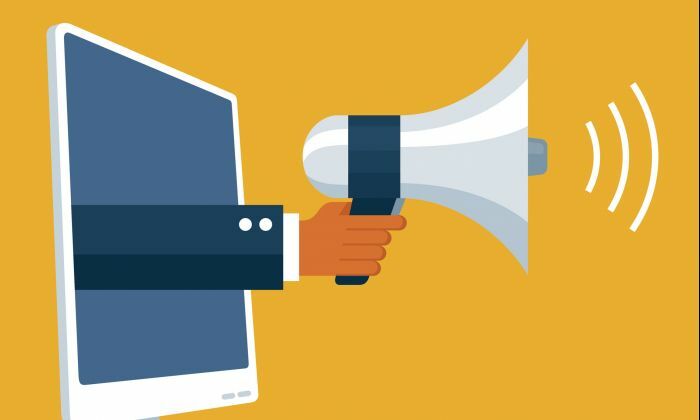 This means there is greater emphasis on the role of independent non-executive directors who need to be prepared to speak out or even blow the whistle if necessary. Sometimes there is a miscommunication and candidates are hired under a different pretence to that which the owners actually intended. Therefore once in role, this can limit the ability of the incumbent to think strategically and act in the best interests of the business. Communication throughout the process is critical to ensure all parties are aligned.